Lincoln City, celebrates the art and skills of kite flying with two annual kite festivals. Situated on the 45th parallel, Lincoln City is positioned at the ideal point for mixing warm equatorial air and cold polar air, which creates ideal winds for outdoor flying. Furthermore, the clean air directly from the ocean is preferred by kite flying experts, and even novices will see a difference in their abilities at this location. Kite flying is a family activity available in Lincoln City throughout the year, regardless of the weather, through festivals, kite building workshops and kite flying lessons. It's always time to fly! Annual summer and fall Kite Festivals bring thousands of international delegates and visitors, both amateur and professional, from as far away as Asia, Australia, and Europe. In order to enhance the flying and viewing experience, the summer and fall outdoor festivals are held on the beach at the D-River State Wayside, where the Pacific Ocean creates a stunning backdrop for colorful kites. In that unique setting, fliers and watchers enjoy family-oriented kite flying competitions and displays, Japanese-style kite battles, flying demonstrations and lessons, kite building workshops, and kite ballets. Each festival is individually designed to offer new activities and new expert fliers with different flying styles and unusual kite designs. 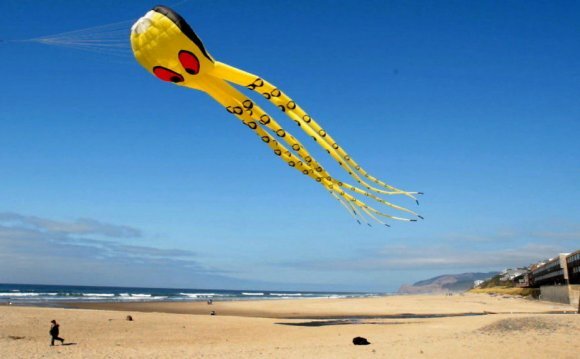 The Fall Kite Festival is the original kite festival in Lincoln City. Beginning in 1978, the festival was the dream of a group of local kite enthusiasts which has continued over the years. Many of the original organizers are still taking part in the festivities. The Summer Kite Festival in June has demonstrations, competitions and other great fun in the summer sun. Though the Oregon Coast has many festivals each year, Lincoln City's festivals still top them all.